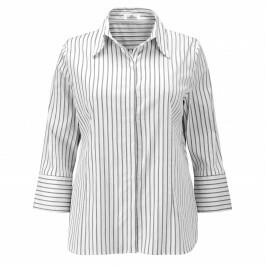 Narrow magenta stripes on white shirt. 3/4 sleeves with cuffs that can be turned up. 57% Cotton, 24% Polyamide, 15% Polyester, 4% Elastane. Delicate Machine Wash.